Many people don’t have naturally straight teeth. Some teens or adults need braces to avoid tooth crowding or to correct a misaligned bite. Traditional metal braces can be embarrassing and uncomfortable. Invisalign® transparent aligners are completely unnoticeable and can be easily removed, so there’s no need for a painful installation. Invisalign offers many advantages over traditional braces. Not only is Invisalign barely visible, but the aligners can straighten your teeth faster than old-fashioned metal braces. Invisalign is also less expensive than hidden lingual braces that are fixed to the inner surface of your teeth. 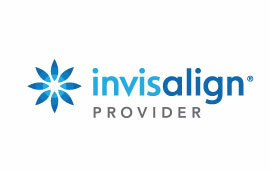 To find out more about Invisalign®, contact Three Rivers Dental now!